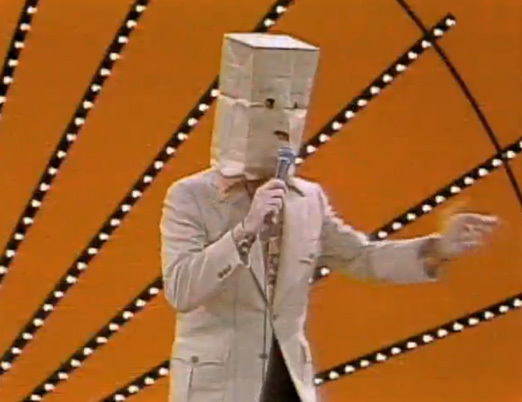 The “Unknown Comic” wore a grocery bag over his head with holes cut out for his eyes and mouth. He appeared frequently on the Gong Show. Comic Rodney Dangerfield always lamented he didn’t get any respect, but Murray Langston gets little recognition. That’s the real name of the “unknown comic” which I, of course, didn’t know; after all he’s billed himself as the unknown comic! It has been said that God must love common people, because He’s made so many. God must also love relatively unknown pastors, because he’s called so many of us to be just that! This, of course, does not mean we’re unimportant or have little to contribute to God’s kingdom. I know this to be true. But do I really believe this of myself and of other pastors? It’s time for true confession. If I don’t know the conference speaker, book author, or blogger, in other words, if the person is not famous, I tend to skip the conference session, look for a different book or move on to another blog. Why? Does being well-known give the person the credentials to speak or write truth, and does being a virtual unknown disqualify the person from speaking or writing truth into my life? We need to encourage one another and allow God to speak truth to each of us through each other. Most of us aren’t going to be a disciple like Peter, James, or John. Of the twelve, the one we know the least about is James the Less. We can assume, however, that though he gets no ink in the New Testament pages he carried out his apostolic calling nonetheless. He presumably never wore a paper bag over his head, but he certainly could be called the “unknown apostle.” Perhaps he should be our patron saint!